The lawsuit explains CPD’s unlimited discretion to add names to the Gang Database – there are no consistent guidelines or approval requirements. The CPD disproportionately targets Black and Latinx individuals for inclusion in the Database. Individuals in the Database have no due process protections, including any way to challenge the designation. In addition to using this information to harass and falsely detain people, CPD provides this incorrect, inconsistent Database to third parties, including U.S. Immigrations and Customs (ICE). As a result, the false gang designations can affect an individual’s ability to get employment, licenses, bond, parole, housing, immigration relief, and more. The coalition is comprised of four individuals, three Black and one Latino, who were each falsely identified as a gang member and has since been subjected to irreparable harm and harassment because of the wrongful designation. 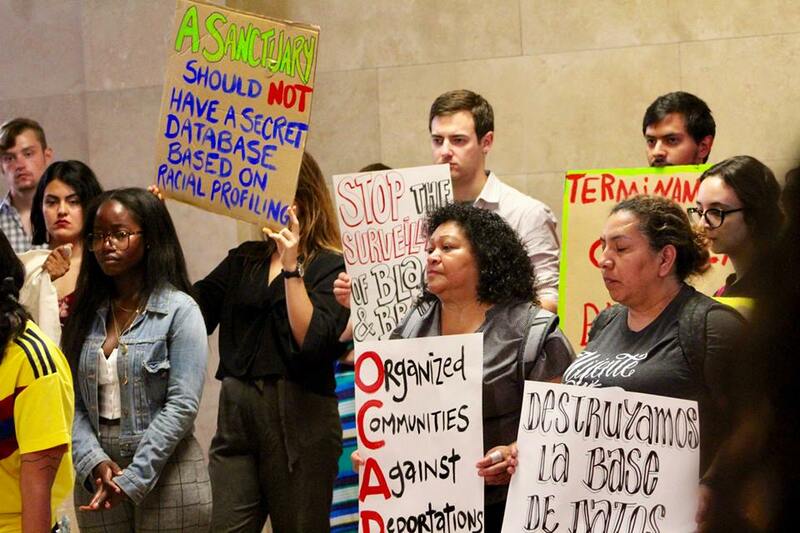 They are joined by community-based organizations with deep roots in Chicago’s Black and Latinx communities, including Black Youth Project 100 – Chicago, Blocks Together, Brighton Park Neighborhood Council, Latino Union, Mijente, and Organized Communities Against Deportation (OCAD). The lawsuit seeks an end to CPD’s unconstitutional policies and practices related to the Gang Database. Reforms proposed by the coalition include: specific requirements before an officer can include someone in the Database; CPD must provide notice and opportunity to challenge the gang designation in a meaningful way; CPD is prohibited from sharing gang designations with any third party entity, and CPD will publish aggregated data about the individuals included in the Gang Database. 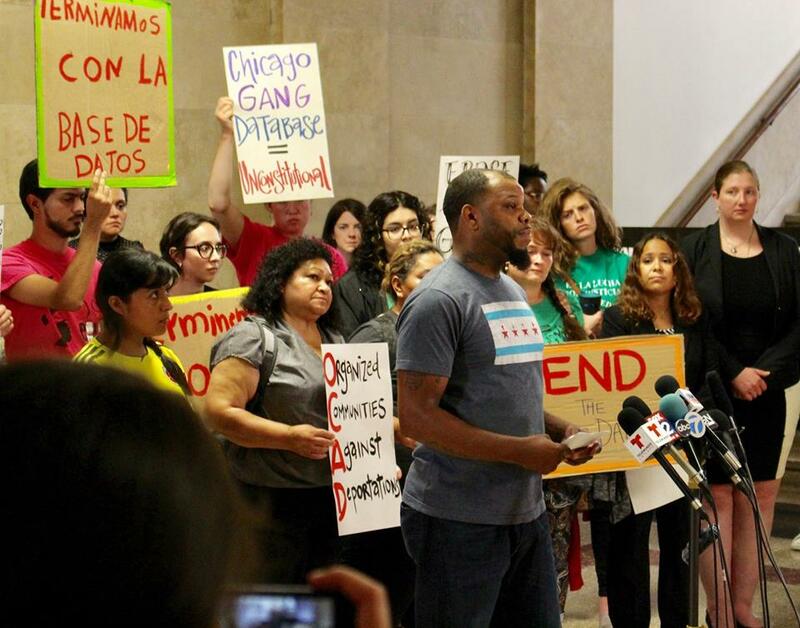 The MacArthur Justice Center represented Mr. Pedrote-Salinas in a federal civil rights lawsuit targeting the Chicago Police Department's policy and practice of falsely labeling young men of color as gang members and then sharing that information with U.S. Immigration and Enforcement (ICE). He is also a named Plaintiff in a federal class action lawsuit targeting the CPD’s Gang Database. After a false inclusion in the CPD's Gang Database, six ICE agents stormed Mr. Catalan-Ramirez's house without a warrant, slammed him to the ground, handcuffed him, and took him away where he was detained, without adequate medical care, for over 10 months.The MacArthur Justice Center joined with the National Immigration Project of the National Lawyers Guild to sue the City and ICE on Mr. Catalan-Ramirez's behalf. We have secured his freedom – and gotten his name removed from the Gang Database. "I came up in the streets and have worked hard to create a positive life for myself. I never joined a gang and I focused on getting my education. I want to help other young people do the same thing. That’s my calling and my mission in life. But because I’m a young Black man, CPD slapped a gang label on me. Now I can’t get my dream job. I’m filing this lawsuit to clear my name and to help other people whose lives are destroyed because of the lies CPD tells through the gang database."